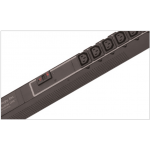 The Server Technology® PRO2 Switched POPS CDU provides control of outlet power and local LED input current monitoring, allowing IT personnel to determ.. 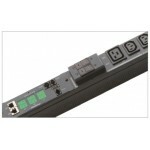 The Sentry 48DCWB-10-2X300-E0 Intelligent PDU and Remote Power Manager minimizes the impact of locked-up routers, servers and other network devices on.. 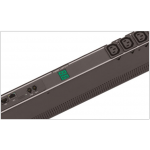 The Sentry Basic Cabinet Power Distribution Unit (PDU) product family provides a simple solution where reliable power distribution for equipme.. 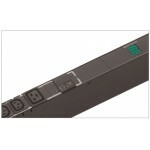 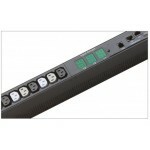 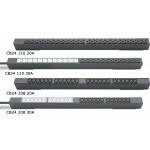 The STV-4102 product family provides high functionality in a 24 outlet Switched PDU. 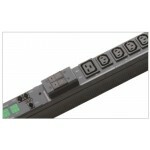 The Power Pivot flexible infeed provides simplified power cord ro.. 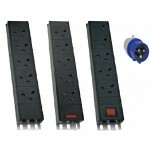 The Server Technology Smart CDU provides local LED input current monitoring, allowing IT personnel to determine safe levels of loading on a per-phase ..
XAL - Vertical Rack Mount Angled Left 32 Amps total load Supplied with 3mtrs flex to 13A UK fused plug top Red Neon Indicated Double Pole Sw.. 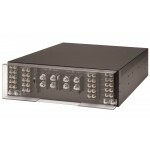 The Sentry Basic Cabinet Power Distribution Unit (PDU) product family provides a simple solution where reliable power distribution for equipment racks..